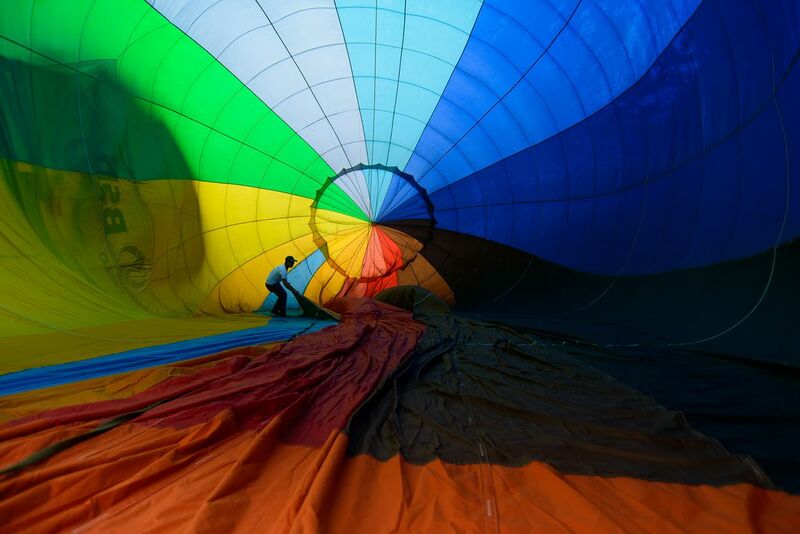 The technical man checked all shapes to balance the inside faces of hot air balloon before the hot air balloon is heated up by a burner. This one prepared for the special event by Saigon river - center of Ho Chi Minh City, Vietnam. Date Uploaded: Aug. 16, 2017, 11:28 a.m.